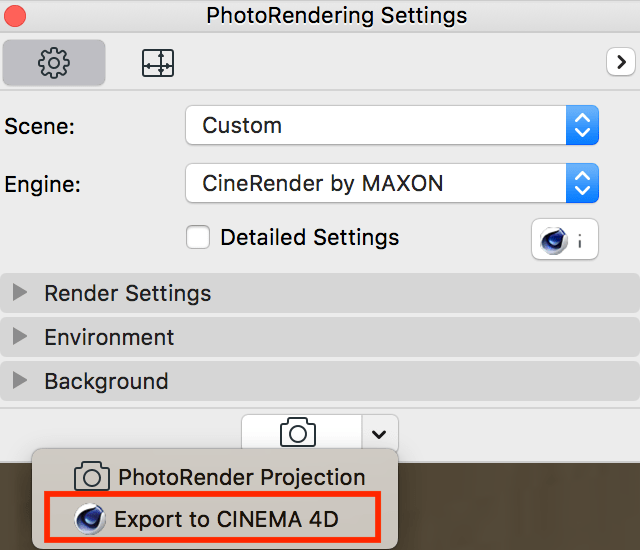 Built-in CineRender is good for rendering quick visualization of your project but if you want to have more advanced possibilities to compose a multi-pass image or render a video with Teamrender then you might want to use Cinema 4D for that. Go to Window menu > Palettes > Photorendering Settings and open the palette where all CineRender render settings can be found. Click on the arrow next to the photograph icon and select ‘Export to CINEMA 4D’. There is a possibility to update your exported scene with a second version if you have to modify the geometry but you’ve already made some changes in material settings in Cinema 4D on the first version. Therefore, you won’t loose your adjusted materials if you use update merge with the following settings shown on the below screenshot. When you open a c4d scene file which was saved with ArchiCAD 18+ there will be a pop-up message asking if you want to combine the project. This feature will help you to simplify the object structure in a way that it keeps the possibility to adjust the materials or environment because it combines polygones which has the same materials. 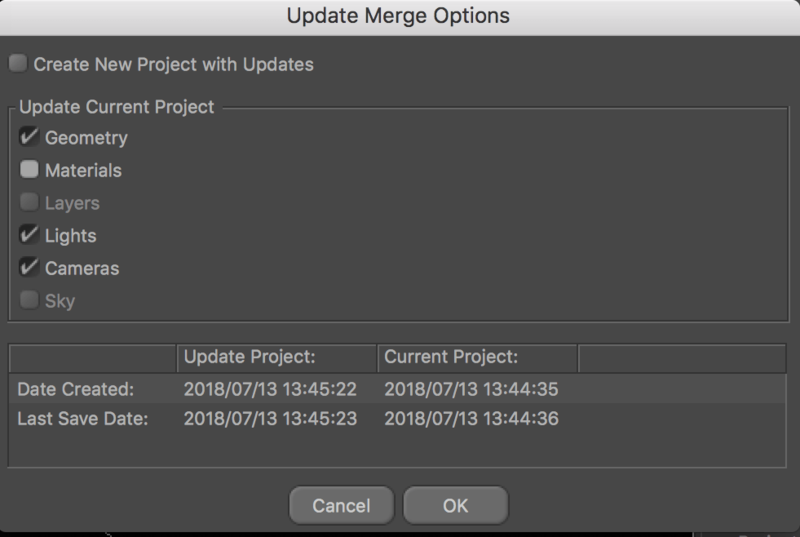 If you would like to use Update Merge functionality later on because you know there will be change in the geometry, then don’t use this feature. This feature is useful for simplifying the latest version of your model so you will have a ‘cleaner’ object structure in Cinema 4D Object Manager. Save your new GDL object in ArchiCAD then check it in 3D view. If you choose the ‘Edit selected elements in CINEMA 4D’ option, it will turn into GDL element after sending back to ArchiCAD even if it was a parametric ArchiCAD object before the modification. Previous PostPrevious A BIM kézikönyv első kötetének összefoglalója II.